Description: The hemp seed is a nutritional powerhouse - packed with vitamins, minerals and 10 essential amino acids, it also features a balance of omega 3 and 6 fatty acids. Sweetened with brown rice syrup, our hemp milk boasts a smooth, luscious mouthfeel and delivers 4 grams of protein, 50% of the RDA of Calcium and is an excellent source of Vitamins D, B12 and Riboflavin. 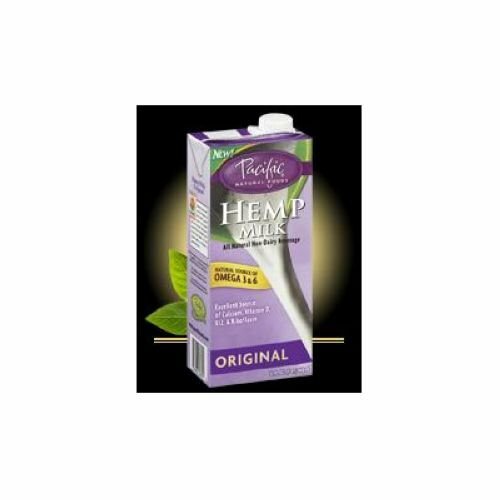 Ingredients: Hemp nut base (filtered water, whole hemp nut [shelled hemp seed], Brown rice syrup, Disodium phosphate, Xanthan gum, Calcium phosphate, Vitamin A palmitate, Vitamin D2, Riboflavin, Vitamin B12. If you have any questions about this product by Pacific Foods, contact us by completing and submitting the form below. If you are looking for a specif part number, please include it with your message. Enfagrow Premium Toddler Next Step Milk Drink, 36.6 oz.